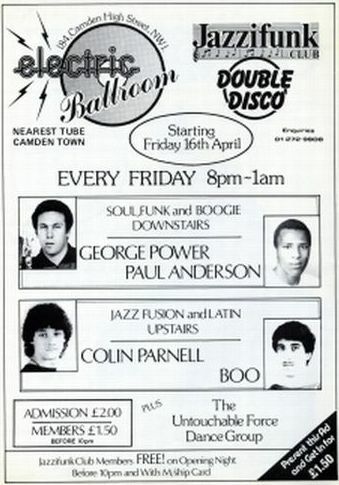 The Original London "Jazz-Fusion" Dance Movement: "The Electric Ballroom"
The Dancers, Music, and Djs. "The Jazz Room" at The Electric Ballroom (Full Story)- Coming Soon! !